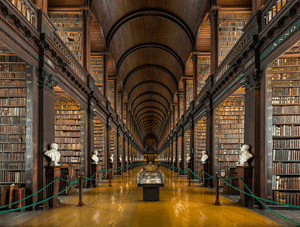 Library Management - Graham E Glynn Ph.D. The Dean of the Library has reported to me at Radford, FHSU and Mercy College. As part of this responsibility I interviewed all candidates recommended for appointment within the library. While at Stony Brook, I worked closely with the Dean of the Libraries to convert space freed up by digital access to resources and weeding of collections. This partnership resulted in Collaborative Learning Areas which provided technology enabled group workspaces, presentation practice areas, and other team spaces that are extremely popular with the students. I was also a member of the design committee for a LEED Silver new library building on the Stony Brook Southampton campus.